In Mexico, The Day of the Dead is a day of celebration. Loved ones gather to remember those who have passed on. To sing, dance and feast in their honour. Death is not seen as an end, but the beginning of a journey of transcendence. This is the day on which we communicate with our beloved travellers. Elaborate dress, flowers, trinkets and laughter all illuminate the spirits of those who have crossed but returned, for this day, to celebrate with us in the jovial haunting of Halloween. Ladies, gentlemen, join us Sunday 31st of October on All Hallows Eve to help celebrate the dead and help them rise, to dance, for this one night. Meeting for gruel at The Charles Lamb Pub at 6.30 pm, the damned mob will zombie march to The Bar With No Name where the evening's fiendish festivities await. Costumes, snacks, spooky Halloween cocktails [see below] and live entertainment ensure this to be an evening that will go down in Colebrooke history. 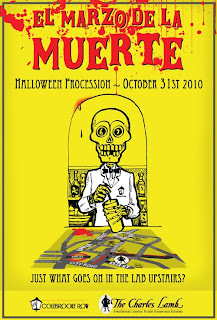 Please come in your finest Day of the Dead garb. 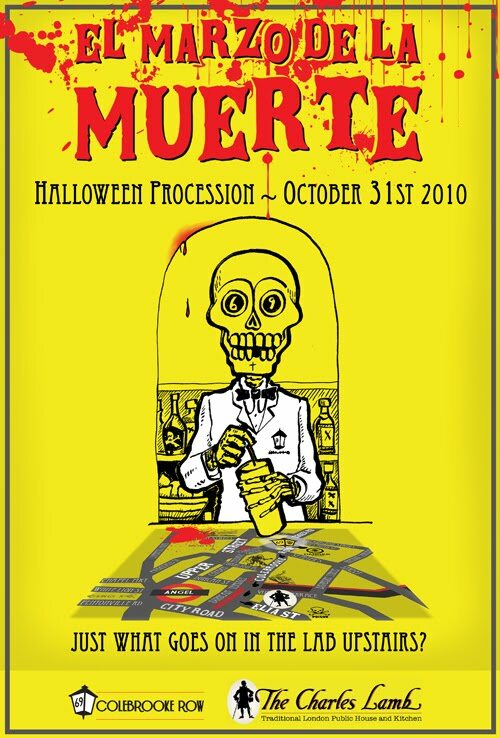 Skeletons, catrinas, ghosts, ghouls, vampires, mummies (and daddies) all welcome.